Hyperoxia can promote changes in the function of surfactant subtypes  and is able to induce inflammation and oxidative stress . 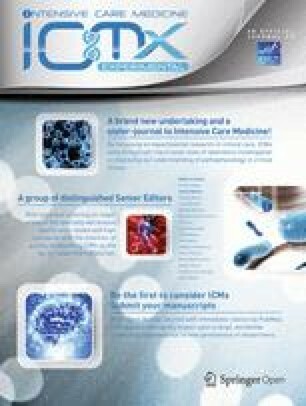 In humans, an administration of high concentrations of oxygen has shown that the lung is susceptible to oxygen toxicity after breathing pure oxygen for only 17 h . Several studies have demonstrated a higher risk of mortality in patients treated with high concentrations of oxygen, but the mechanisms are unclear [8, 9, 10, 11]. Several studies using knock-out mice showed that deficiencies in several surfactant proteins (SP-A, SP-B, SP-C, and SP-D) result in higher inflammation induced by hyperoxia [12, 13, 14] and upregulation of cytokines, such as the high mobility group box protein 1 (HMGB1) —a pro-inflammatory cytokine expressed by lung epithelial and endothelial cells and alveolar macrophages , and which attracts neutrophils, releases cytokines as TNFα, and inhibits macrophages migration . SP-D can also inhibit the secretion of TNF, IFNγ, and IL-6 ; decreases peroxidation of surfactant lipid mixtures ; and reduces recruitment of inflammatory cells to lungs after infection , while SP-A inhibits IL-10 production and decreases recruitment of macrophages . It has been shown that the inhibition of extracellular HMGB1 attenuated hyperoxia-induced inflammatory acute lung injury followed by reduction of leukocyte and polymorphonuclear cells , while other experimental models confirm that the depletion of HMGB1 reduces acute lung injury [22, 23]. None of these experimental models, however, was originally designed to investigate in vivo the combined effects of surfactant on hyperoxia-induced inflammation. The antioxidant effect of SP-B was observed in the present study, in vivo, when the levels of SOD, TBARS, and protein carbonyl returned to normal after exposure to exogenous surfactant on hyperoxia-induced by inflammation. A recent study showed that SP-B exhibits good scavenging activities on HO−·and O2− . 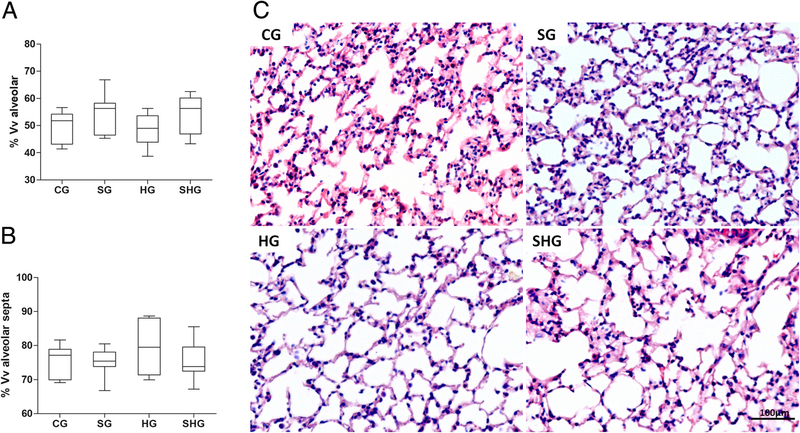 We speculate that protection against hyperoxia-induced inflammatory acute lung injury is initiated by the ability of the surfactant to significantly reduce oxidant radicals. Without oxidative stress and lipid peroxidation, cell membranes remain intact and the primary immune barrier is maintained. In addition, normal levels of reactive oxygen species maintain cell regulation, without apoptosis and cell signaling directed toward lung inflammation [41, 42, 43]. In vitro studies showed, however, that both surfactants, endogenous and exogenous, may be subjected to oxidative inactivation  and the oxidative modification, and functional inactivation of SP-A is accentuated when SP-A underwent lipoperoxidation . Further studies will be needed to assess the importance of this phenomenon.